Posted: Thursday, September 22, 2016. 8:24 pm CST. Lack of prepared individuals- We do have prepared individuals in Belize who are not given the chance to showcase their knowledge. 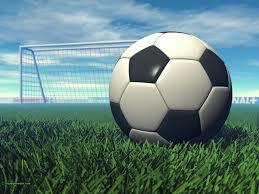 We also have coaches who are in charge of teams participating in Belize’s most prestigious league,’Semi-Pro’. These coaches, who have acquired more experience over the past few years, have little to no education or preparedness in the football tactics, strategies, and formation analysis. These three fields are very important to master the sport of football. Over the last 10 years Cuba has been awarding scholarships to Belize in physical education, and during this time, a total of 25 students have completed and have been awarded a certificate by the ‘EscuelaInternacional de EducaciónFísica y Deporte’ in said field. No support from fan base- All around the world clubs are supported by a fan base, a fan base called ‘socios’. What are socios? A group of people that come together to help put something together. A socio in Spain pays a total of 89.00 Euros per season towards their club of preference. In return that socio is given an ID, a season pass, the rights to vote for a group of directives (I will speak about this next). Even the most unpopular club has at least 250 socios earning €22,250.00 (€89.00 x 250 = €22,250). Stadiums in Belize have capacities of up to 5,000 seats – can you imagine the amount of revenue that can be generated if the entrance fee is set at $10.00 per regular season game? Now the question that may arise is, why are Belizeans not supportive of football? A minimum wage earned by Belizeans according to the‘2012 Labour Force Survey’ is $26.40 per day and $3.30 an hour. The entrance fee for a football match is $10-25.00 depending on whether it is for a regular or playoff game, and $35.00 for CONCACAF Champions League matches. With that being said, a Belizean earning the minimum wage would spend a day’s earnings to attend a single football match. Why have I mentioned minimum wage if there are many people earning a bit above that wage? It is an undisputed fact that the biggest supporters of football are the poor and underprivileged, not only in Belize, but all around the world. A football team needs a group of directors- Last season the BelizePremier Football League (BPFL) had six teams participating, three of which were managed by a single Belizean. Those three teams were Police, BDF, and Bandits. Now, let’s use a British club as an example: Chelsea. Chelsea is a first division team owned by a Russian billionaire (Roman Abramovich). Abramovich is the proprietor of Chelsea, but under Abramovich is a Board of Directors. A Club’s Board of Directors includes a President, Vice-President, Sports Director, Marketing and Communications Manager, Financial Manager, and Scouts Recruit Manager. Under the Board of Directors is the Team Managing Staff which consist of, Manager, Head Coach, Assistant Head Coach, Physical Manager, and Doctor. Under the managing staff finally comes the team. I have listed the entire pattern in sequence, from highest to the lowest. The proprietor of the club has no say in what the team does, unlike in Belize, where the proprietor is the Manager, who also wants to be the Coach, and even a player. This should not be allowed in a semi-professional team. Players are not full time football players- A Belizean player takes football as a part time job, working regular hours during the day whether as Public Officers, or in the private sector. A professional football player must be on a pitch for at least 4 hours a day. Now, I’ll take Barcelona as an example. The Barcelona team trains 4 times a day, while a Belizean semi-professional player trains twice a day at a maximum. Working 8 hours during the day and training for 2 hours at night is not only tiring but can also place great strain on the players’ body. A football player requires proper nutrition and training, but working heavy hours, can negatively affect the athlete, particularly if he does not have proper nutrition. With deteriorating physical health, an athlete will never perform at the maximum of his abilities. Professional sport teams are a luxury. Same for semi-pro & high level amatuer leagues. They do not add to the productivity of a nation. One can make a better case for amateur football at the lowest level. It is a healthy outlet for energy, especially for boys. It can teach good sportsmanship and healthy competition, useful skills in later life. Team camaraderie is better than gang affiliation. Competition on the field is better than gang violence. Leagues that encourage participation at the lowest skill level, whether child or adult, would be useful. But unorganized play is probably even more important. Effort to create and maintain community football fields that are more inviting than cow pastures where twisted ankles are likely seems a better use of Belize’s public resources. If it curbs violence and builds better communities and better citizenship, it helps Belize. As Belize rises, & football skills develop via all this low level participation, then if private individuals want to create a more professional football league, they can do it on their own. If the population has money to burn, they can indulge themselves in the luxury of cheering for a pro football idols. But it should be an individual choice, not socially engineered with public policy resources. P.S. Re-reading my comment, it sounds like I am rebutting a set of recommendations that the author did not make. I stand by my opinions, but I do not mean to put words in Mr. Saravia’s mouth. I look forward to his next contribution.